Our recommendations for common problems you may experience! The good news about QuickBooks is that it is a very reliable software that rarely has technical problems which it cannot repair itself. If you experience any illogical or erratic behavior in your software, immediately click on the File menu – Utilities – Verify Data. If QuickBooks finds any problem in the data file, it will instruct you to rebuild the data. Again, click on the File menu – Utilities – Rebuild Data. It will ask you to back up your data. Then the rebuild will start automatically and fix the problem. I occasionally find this happens after I’ve made numerous changes to a major list, such as the Chart of Accounts or Items List, when reworking a QuickBooks file that was not set up correctly in the beginning. You may experience performance problems if after years of being in business, your file approaches the maximum size the software is designed to handle. Periodically check the size of your file though Windows Explorer. QuickBooks Pro and Premier can handle a file up to 150-200 MB. 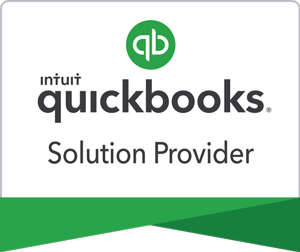 If you’re experiencing problems and you’ve confirmed your file is approaching the size limit, the simplest solution is to upgrade to QuickBooks Enterprise Solutions which has a maximum size of 1 GB or more. Enterprise Solutions is optimized for larger data files and network usage. Of course, it is more expensive than Pro or Premier, but has additional features appreciated by larger, more complex businesses. Enterprise Solutions supports up to 30 users and even handles complex manufacturing and distribution concerns. Your file will open right up in Enterprise Solutions and you can proceed with your work! * Back up your data file. Rename the original file to include the time frame of transactions included, i.e. Fiscal Foundations, LLC (2007-2010).qbw. All the past years’ transaction detail will remain available to you in this file. * Restore the back-up file you just created, naming it with your company name, i.e. Fiscal Foundations, LLC.qbw. This is the file you will work in now. You’ll be able to find past year’s transactions in your old file, but we are going to remove the past years’ detail in this new file by condensing the data. The totals in your accounts will remain to be available for historical reports, but the details of individual transactions like checks, bills, invoices, and sales receipts will be deleted. Each month’s transactions will be converted into journal entries only recording the total of the transactions posted to each account. * Click on the File menu – Utilities – Clean Up Company Data. Follow the instructions. It will also give you the option of removing unused list items. * Recheck the size of your new file to see how much capacity you’ve gained. My experience has been that only a small amount of capacity is gained through this file cleanup. I’m sure it depends on how many years of data you have in your file—the larger your file, the greater your gain. Failure to back up routinely is one of the most painful and costly mistakes you can make. Clients often ask how often they should back up. My answer is another question, “How much data would you like to reenter or pay to have reentered?” My first recommendation is to make sure your general liability insurance covers data recovery. Have multiple backups including on a flash drive or external hard drive and an offsite backup as well. I recommend daily backups. Automatic offsite backups make your life simpler and your data secure. This service is inexpensive, particularly when compared to the costs of losing your data. Occasionally, a file will be damaged but not destroyed. This happened to one of my clients a few years ago. As a QuickBooksTM ProAdvisor, I was able to recover most of the lists. Of particular concern and value were the Chart of Accounts, Customer List, and Items List. This company produced and sold hundreds of stationery items to stores all over the United States. Reentering all this data would have cost thousands of dollars and virtually have paralyzed their business for weeks. This company had implemented the routine backup procedures I had recommended years before, but had been sold to new owners just a year before the computer crash. The new owner had not continued the backup procedure. The saving grace was that we had just sent the first year’s financial reports off to the CPA for tax preparation. So even though I was not able to recover any transaction data, we at least had a beginning Balance Sheet for the year. With the recovered lists and a paper trail of the last few month’s transactions, recovery time was short and the backup procedure was reinstated. ProAdvisors are QuickBooksTM experts, but not necessarily IT consultants. We collaborate with IT consultants to make sure networks are set up and secured properly, and QuickBooks is configured on the network with individual User ID’s, passwords, and appropriate permissions to facilitate work being done and your financial security assured. Protection against viruses invading your computer or network is critically important. We’re all on the internet every day. The risk is real. What’s more important to protect than your financial data? Your QuickBooks file may contain your passwords, bank account information, employee and vendor social security numbers, and key information about your products, customers and business performance. That’s information you don’t want in the hands of crooks or competitors. Keyloggers are extremely dangerous invader in that they can record your every keystroke you make including passwords to your bank accounts and accounting files. Call a professional immediately if your computer system is compromised! We have a great referral for you! Call That Girl!, owned by Lisa Hendrickson, is a wonderful resource for us for hosting our off-site backup and protecting our client and company data. Their IT professionals work remotely so your location is not a limiting factor. If you are experiencing any of these situations, call us for help! We can assist you remotely, virtually anywhere, and onsite in Minnesota, western Wisconsin, or in the Denton and Dallas/Fort Worth areas in Texas.